A new exhibition is opening up around Oxford city centre. 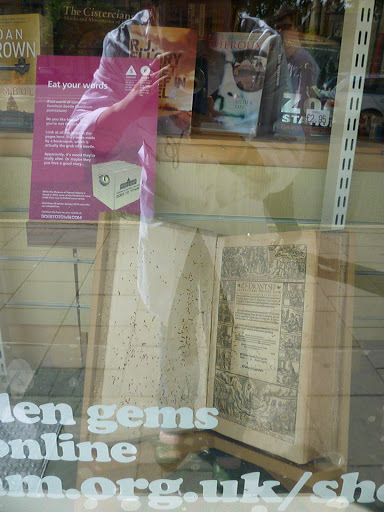 While the Museum of Natural History is closed in 2013, some of the inhabitants have made their way to Oxford town centre. 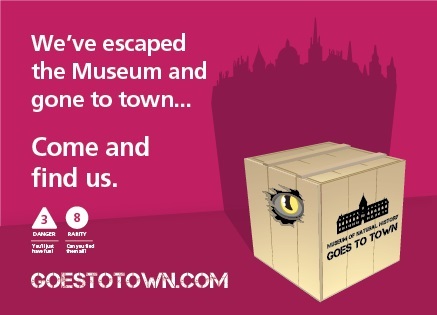 Find them all before January 2014, record their Danger and Rarity ratings and enter our competition at the Goes to Town website. 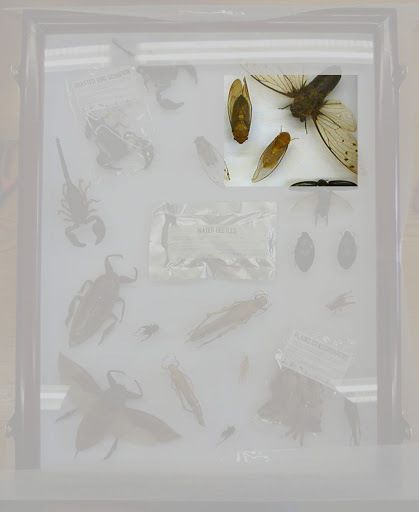 The Hope Entomological Collections are missing a few of their insects. There are two displays featuring bugs around and about town which we hope you will enjoy. The first features the beautiful bookworm, literary critic and the second a selection of edible insects. Yes, insects that you can eat rather than ones that eat you. The bookworm bites back- installation of the bookworm damaged book is complete! Fancy a quick bite? Have alittle nibble on one of these tasty critters. This entry was posted in entomology, exhibition, fun, HEC, insects, OUMNH by More than a Dodo. Bookmark the permalink.